My fellow Smithie and food icon Julia Child said, “People who love to eat are always the best people.” Oh dear, Julia, you are so right. Even in the gym, where there is much talk about dieting and eating clean, I found my people. On Tuesdays, I dance Zumba with Instructor Reg Rodrigo. Somehow Reg, classmate Raissa and I all share a love for food. From swapping each one’s version of home cooked Adobo to where to get Pastillas or our tales of bringing home onions from Atlanta, the conversation never ends. After the gym, the food talk continues on our chat online comparing what each one is having for dinner on a rainy night or comfort breakfast food. 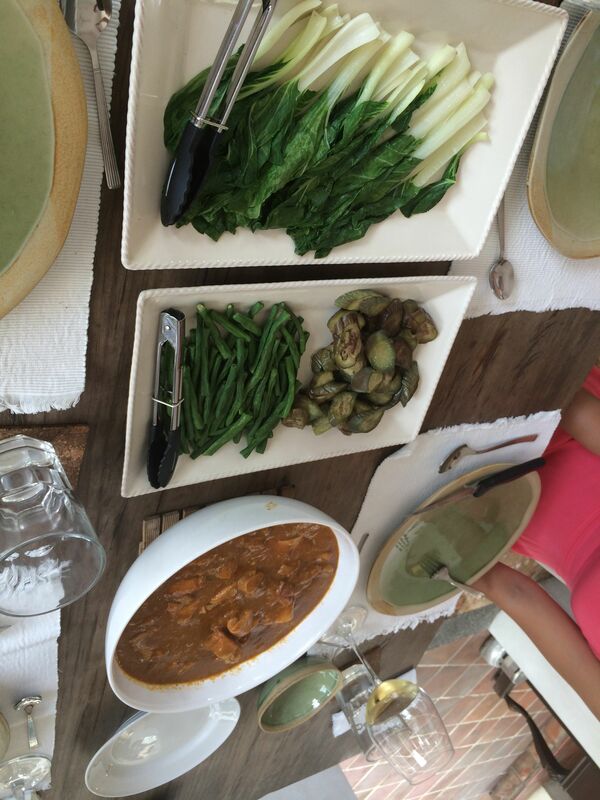 When Reg shared his post on Kare-Kare, a traditional oxtail stew made with peanuts, and served with eggplant, string beans, and other vegetables, my mouth watered. Before I knew it, Reg invited us for lunch in his home. I have long been intrigued by Reg’s home. He lovingly refers to it as Balay Puput. His wife Didith is a professor at Ateneo. Her students who have been there call it Narnia. I was touched by his invitation to cook for us. So we settled on a Friday lunch, the day after my birthday. “No need to bring anything,” Reg insisted. 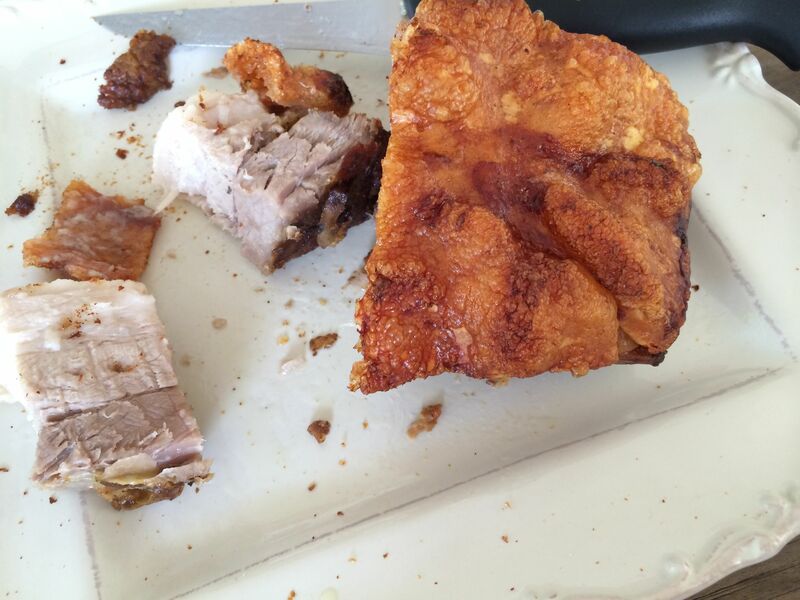 But Raissa offered to bring Pork Belly. Still with a hangover from the frenzy of my birthday, I didn’t manage to bake any dessert so I settled for bringing ice cream and calamansi liqueur. Another friend who was supposed to bring the cake, but failed to make it. It was all spontaneous and casual, but an occasion all three of us eagerly anticipated. I drove my car to Raissa’s home and left it there. With coding in effect in Manila, her car can only be used from 10am to 3pm that day. So with Waze as our guide, we were off to Balay Puput. An SOS message from Reg asked if we could bring crusty bread to go with the Gambas he was preparing. Too late though for we were already on the road. After a few wrong turns and about an hour-long drive later, we made it to Balay Puput. We were both unprepared for what to expect in this 6,000-sqm property tucked in a Quezon City Subdivision. 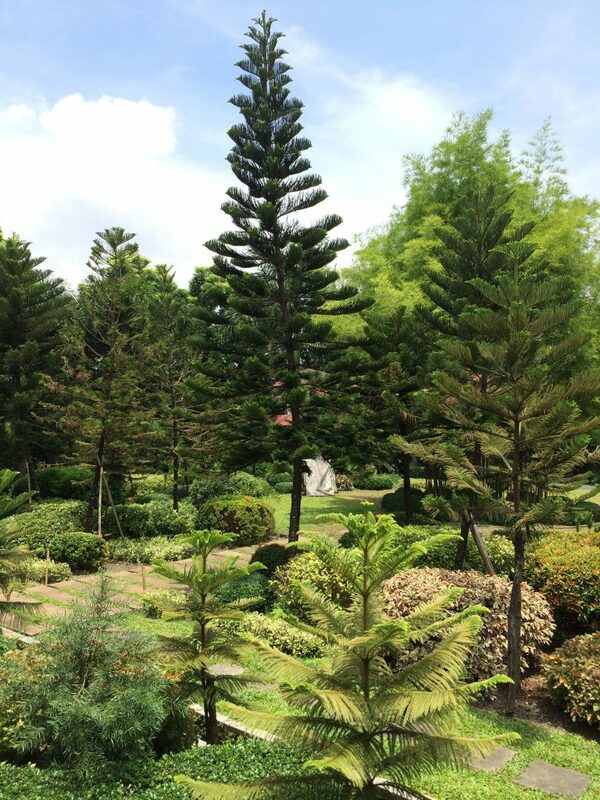 But when the gate opened, there were towering Pine trees greeting us in a beautifully manicured garden. 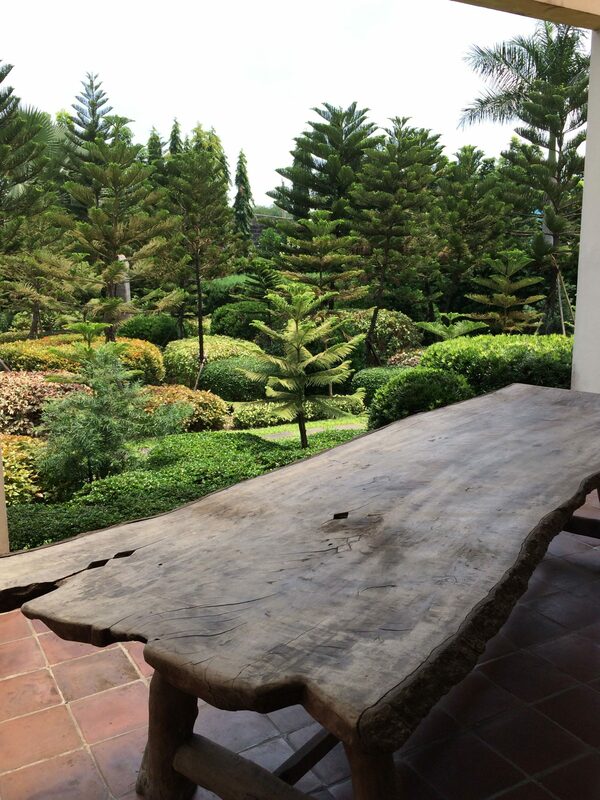 Raissa and I looked at each other, “Are we in Baguio?” The garden leads to an open-air home. There were no doors. And naturally, we made our way straight to the kitchen. The secret garden welcomes us. Pinch me, am I still in Manila??? It took a split second for Raissa and I to have kitchen envy. “Can I sleep here?,” Raissa teased. It was just so spacious, with so much room to create. The sight of the pans hanging is a work of art for me. The scent of Kare-kare simmering filled the kitchen. We dined alfresco, soaking up the view. Starting with the crunchy Pork Belly Raissa made. Oh the skin was simply so heavenly! 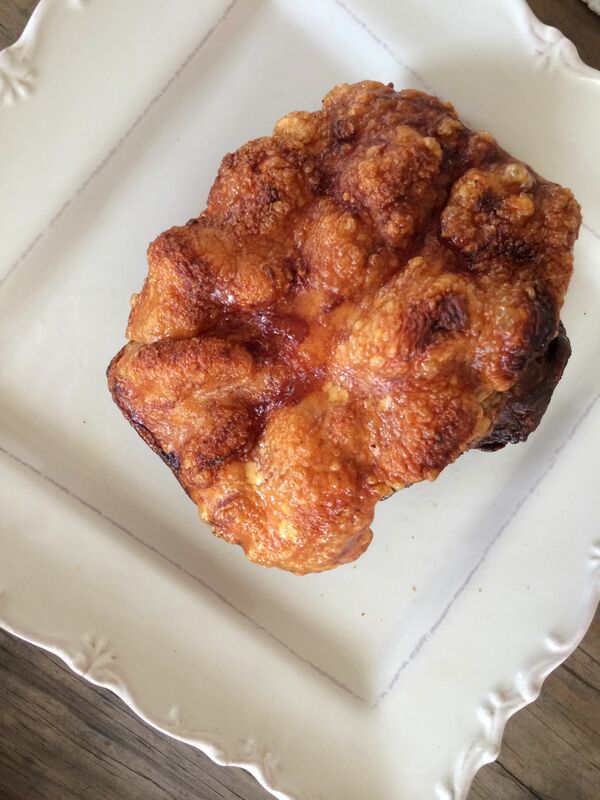 Its crunch was akin to chicharon (fried pork rind). She had mastered how to execute this dish. 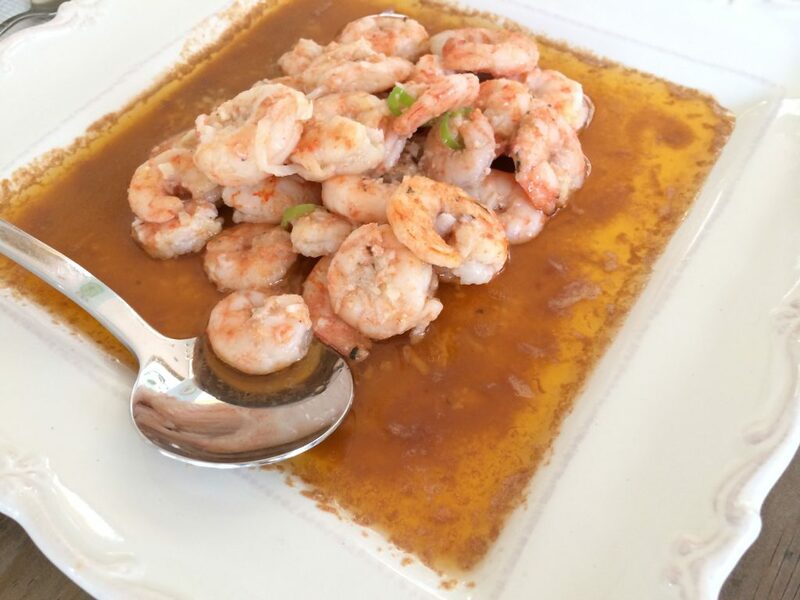 Then, it was the Gambas, sans the crusty bread we failed to procure last minute. But it was still divine. 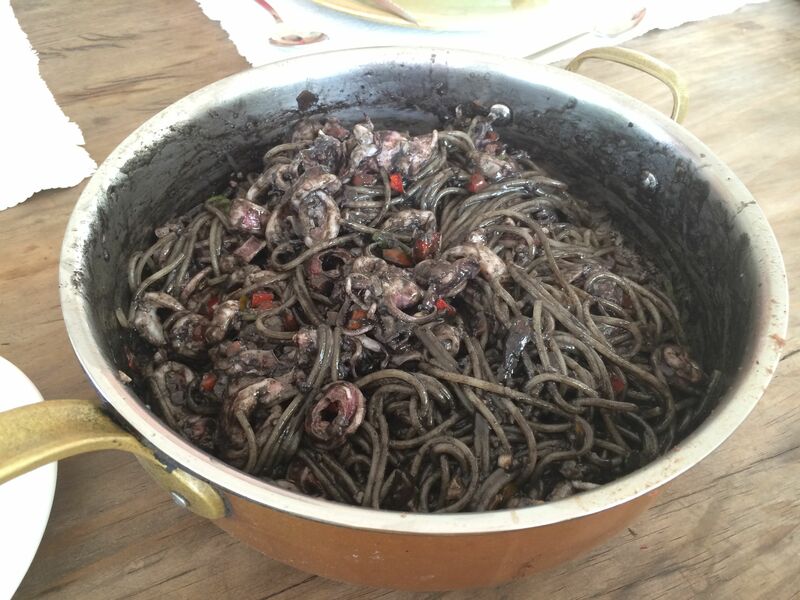 Reg made squid ink pasta. It was a delicious creation, and Reg’s only carb offering for the health-conscious bunch. The finale was the Kare-Kare that started this whole event. Rich, tasty, Ox Tail Stew with the vegetables served separately. The conversation flowed so naturally, with Reg and his daughter Socorro religiously replenishing the wine in our glasses. Don’t judge us. But we finished all that. Not a single crumb left! Reg’s Squid Ink Pasta. This carb’s allowed! 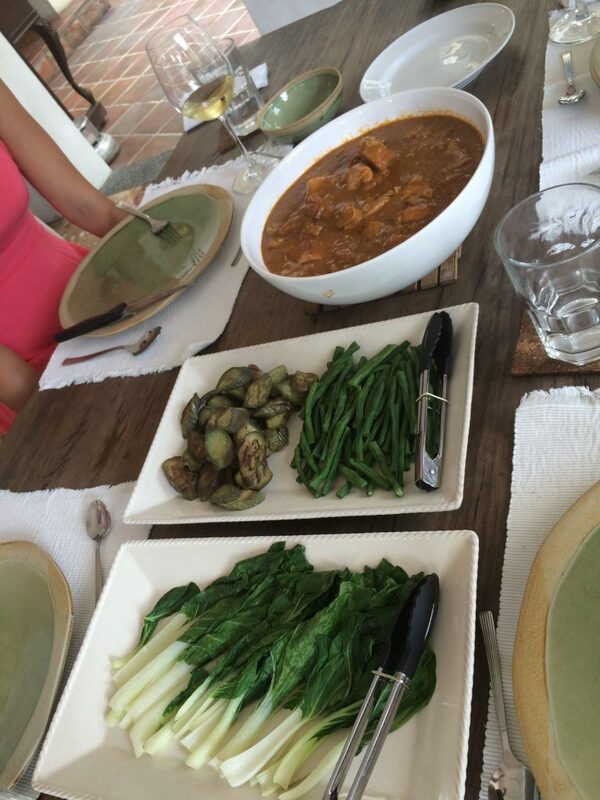 Not a pretty picture of Reg’s Kare-Kare…. sorry I was busy eating! Like a boy scout, always prepared, Reg didn’t miss a beat. Without the cake from another friend, he had Ensaymada on standby for dessert, which we paired with the Carmen’s Best ice cream I brought. Groufie fail, but all enjoying the delicious food and company! In between bites, we took in Balay Puput’s scenery. At the corner of my eye, I caught birds taking a dip at the fountain at the edge of the house. Amused by the beautiful reddish color of these birds, I try to snap a photo but they quickly fly away. The paintings surrounding us were all creations by Reg himself. 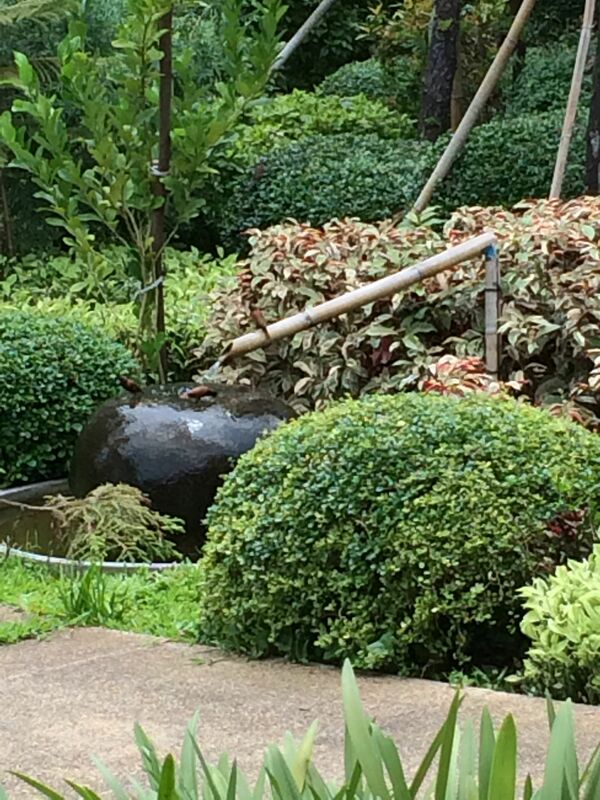 Born to the Santiago clan behind Bulacan gardens, landscaping comes naturally to Reg. But his artistry extends to his culinary creations and the paintings. He recently told us he is trying his hand at making leather bags. 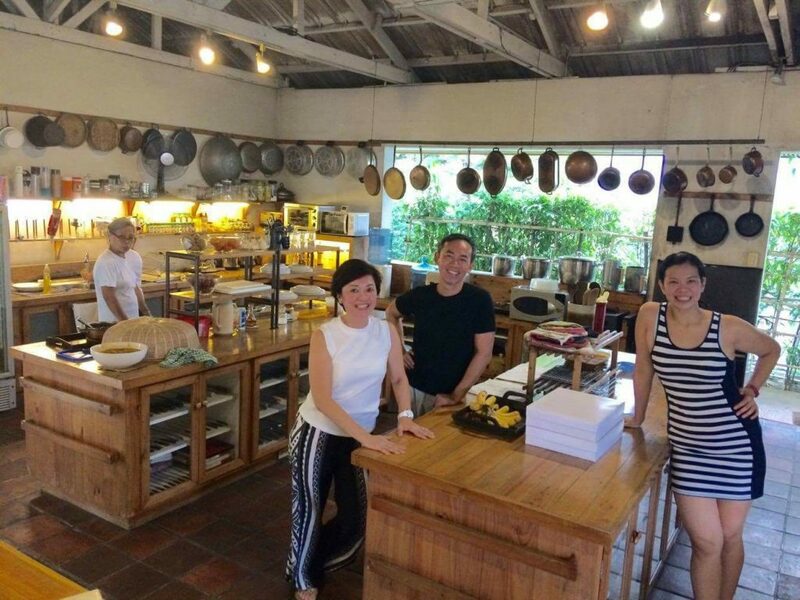 In my writing life, I was one of the first to write about Sonya’s Garden in 1999, Antonio’s, Ugu, Popo Pascual’s garden home and many of the once secret dining destinations. 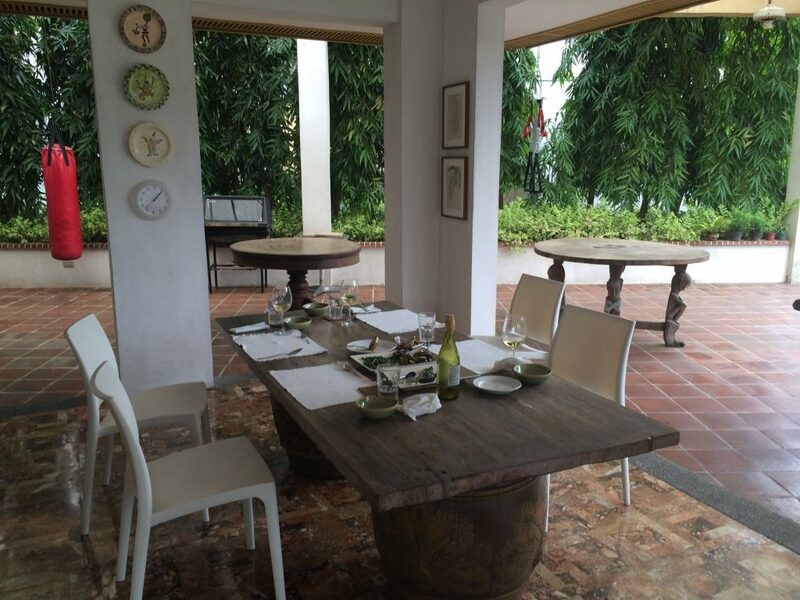 With his gift for cooking and the beautiful setting, Balay Puput has all the ingredients for a lovely dining destination within Metro Manila. But this is not something Reg has chosen to do. I asked, why do you call it Balay Puput? “Puput was one of Socorro’s nicknames when she was little. The name has stuck,” he says. This photo captures it all— a beautiful friendship forged by food! Dining in Balay Puput is magical. Somehow, I had been transported into an idyllic setting. I felt like I had left the frantic lifestyle in Metro Manila. There, the woes of everyday life vanished and somehow calories don’t seem to matter. Time stood still. The Ateneo students are right in calling it Narnia. It is a fantasy world, where friends who love food can indulge, and leave without gaining a single pound. My wish for you is to find your own Narnia, a fantasy place to recharge, to rejuvenate, to create, and to dream again. And, if you can’t find it, make your own Narnia. It need not be grand like Balay Puput, but it has to be a place where you feel most alive and free! I also urge you to make your days more delicious. Find your food tribe or food tribes. Food is more delicious when shared and savored with others. Thanks for Reading! Stay Hungry! Wow! This made me hungry! This made me hungry, Maida! Thanks Carol. 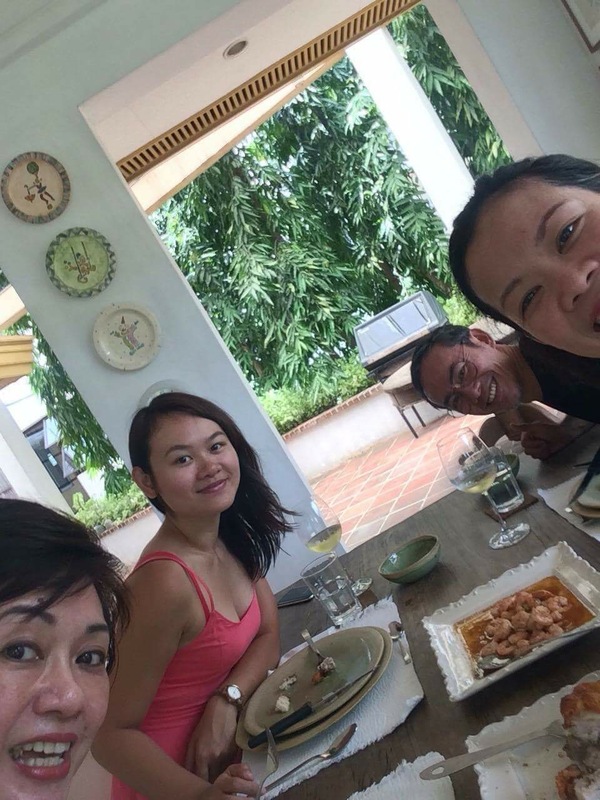 Nothing beats home-cooked food, made even tastier by gorgeous setting! The magical part was we didn’t gain weight. Hugs!